City commuters, school children, and industries all over the world use buses as modes of transport each and every day. They come in all shapes and sizes-from mini buses to gigantic stacked double-deckers. But how are these expensive motor monsters paid for? Financing buses is an enormous enterprise utilized by numerous sectors. The largest of corporations, even local governments, have to get financing for their bus fleets. As for private businesses, image is everything-which makes for bustling bus sales. And no entertainment superstar would even think of coming to town for a performance in a broken down, busted tour bus in these days of cell phones and lightning fast social media posts. The bus trade has increased by leaps and bounds since 1662 when Blaise Pascal launched the first horse and buggy bus line. Even the 1830 steam powered bus designed by Sir Goldworthy Gurney would not compare to the 21st century transportation goliaths of the present day. For decades, buses were only purchased for commercial purposes. Today everyone from big time corporation executives to suburban moms and dads all look for buses that can be financed, depending on their needs. Below are some examples of who applies for a bus loan and how the vehicles are used. Churches and clubs. Churches use buses to transport members to services or other events, move church equipment and travel to different cities. Medical facilities utilize buses to take patients to specialty clinics for care and treatment, such as dialysis or chemotherapy. Buses are also used as triage centers at outdoor hospital events that offer free medical testing. Entertainers use tour (aka sleeper) buses to travel cross country to performances or events. Cities and other municipalities use buses as a form of mass transit for its citizens. Large corporations may own fleets of buses to serve as a carpool service for its employees. Businesses also get financing for a bus (or several) as transportation for visiting clients. School buses full of children of all ages are a common sight. These same buses also take sports teams and parents to games at other schools. Shuttle buses are used by airports to take passengers back and forth from air terminals. Many everyday fun-loving people like to finance a bus to have on hand for spur of the moment entertainment. They “trick out” their buses with audio and video equipment and other accessories so they can hit the road anytime and keep the party going. Large families finance buses that they can use to travel along the highway in comfort as often as they want. Used school buses are becoming a very popular type of bus that is financed by families who enjoy long road trips or for other uses. School districts are one resource that sells off their used buses regularly. Law enforcement agencies take detainees to and from court, for medical treatment and to prison via bus rides. Some people buy used buses and transform them into mobile homes. Coaches (also called motor coaches) are used to convey passengers for long distances between states and sometimes countries. They are equipped with luggage compartments as well as restroom and other comfort facilities. Transit buses travel within a metropolitan region. Entertainer coaches, also known as sleeper buses, are coaches that are specially adapted to take bands, road crews and performers to events. Among other amenities, they come with a full galley, bunk beds, and blacked out windows to keep curious eyes from seeing inside. Entertainment companies for famous performers often finance an entire fleet of sleeper coaches to accommodate everyone involved in the show. Armored buses provide protection against explosive devices, small arms and other dangers. They are built with bullet proof glass and a variety of armor. Military personnel, prisoners and guards are among passengers who travel in armored buses. While buses that run on gas and diesel fuel are the most popular, electric buses powered by batteries alone are a relatively new alternative in the transit industry. Practically any type of bus can be financed with the right set of circumstances. Approval for a bus loan, as with any other credit, depends on the credit score of the borrower and their ability to pay, among other factors. There are some benefits to financing a bus rather than leasing, but the standards may differ for commercial and personal borrowers. For both types of borrowers, the eventual ownership of the bus is a definite plus. Also, a bus is an asset that can be listed when applying for other credit. Payments on a bus loan are consistent; which makes budgeting easier. The rules of the application process for a bus loan are not much different than an auto loan. Credit check, proper documentation, and a down payment are among the things needed in order to qualify. An operating lease is popular with bus operators and bus drivers. It involves a second party purchasing the bus and then allowing the operator to have full use of the vehicle over a set period of time. The person who finances the bus always maintains ownership and the vehicle is returned at the end of the agreed time period. A hire purchase is similar to an operating lease. The main difference is that the operator makes regular monthly payments over time and becomes the owner when the final payment is made, but not until that time. 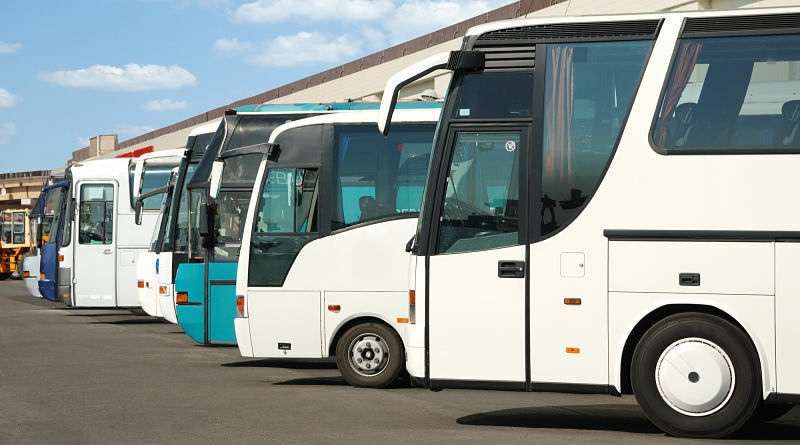 Charter bus leasing is the one-time use of a bus for any number of purposes. This type of lease is popular with wedding parties, sporting event travel, and special event parties. The type of bus, its size and features may be the first thing a buyer looks at when getting a loan. There are other considerations to purchasing a vehicle that become more important in the long run. For instance, fueling the vehicle is a major consideration. Whether it’s diesel fuel, gasoline, or a hybrid of electric and gas, keeping the bus running is a huge expenditure in bus ownership. The bus must be stored in a legal parking area. This is specially the case for personal use owners whose community association does not allow bus parking in driveways. People buying used buses should be especially cautious that it meets safety standards to avoid injury to passengers. Financing a bus is no small project, much like applying for a mortgage, small business loan or other big-ticket credit item. If a buyer is considering purchase for personal use, it makes good financial sense to be sure that the time and investment is worth it for just occasional use. For businesses that need to finance one bus or an entire fleet, it will pay off in their bottom line to perform due diligence by finding a lender with fair terms and enough inventory to meet the standards of the company.